Every year thousands of British kayakers head for the South Alps, in search of white water and excitement. 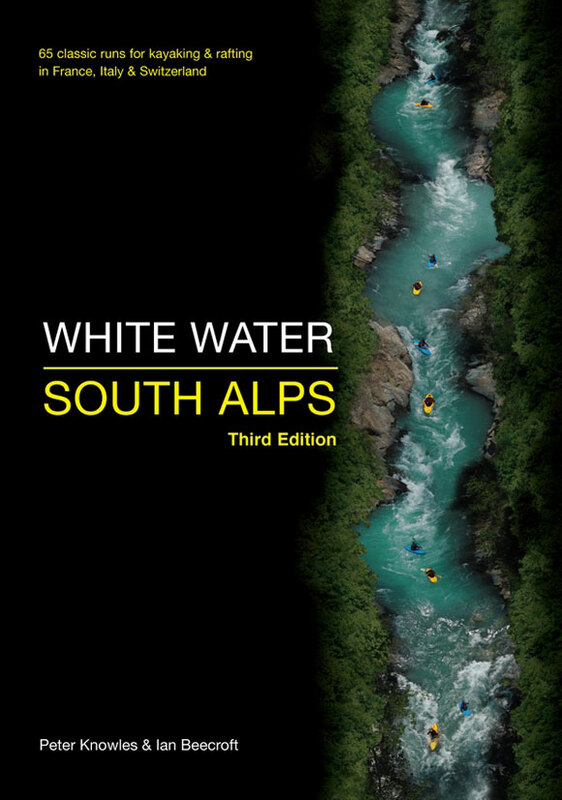 Whether you are an old hand or an ‘Alps virgin’ – there is one guidebook which all white water kayakers turn to – White Water, South Alps. Now in its third edition, the guidebook is packed with information, maps and stunning photography. With its focus on grade 3 and grade 4 water, the guidebook is perfect for the recreational alpine kayaker, paddling with a club or a group of friends. White Water, South Alps covers nine distinct regions. In Italy it covers the renowned Sesia and Aosta, in Switzerland the Upper Rhone, and in France the guidebook covers the Isère, Séveraisse, Briançon, Guillestre, Ubaye and Verdon. Each region is introduced with several pages of useful information, including campsites, travel details, kayak shops, suggested maps, hospitals/emergency services and an overview of the local rivers and ‘off the river’ activities. The river descriptions themselves provide plenty of detail and give a good idea of what a river is likely to hold in store for a group of kayakers. Notable rapids and hazards are well described, along with access and parking. Each river description in the guidebook is also accompanied by an information box which gives an idea of river gradient, flow (including online gauges where available), best months for paddling and ease of bank support. At Canoe London we are now on our third, battered copy of this indispensable guide – the pages frequently read with nervous anticipation, then revisited with fond memories of shared adventure. If you are lucky enough to own a copy we would strongly suggest you write your name on it – as your friends will be eager to beg, steal or borrow this priceless source of information as they ponder the next day’s rivers. 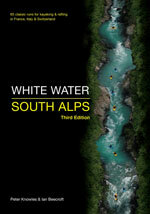 White Water, South Alps is available from Amazon as well as most good canoe shops. Recommended retail Price: £19.95. 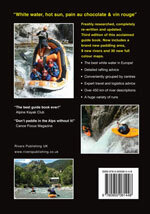 White Water, South Alps was written by Peter Knowles and Ian Beecroft and is published by Rivers Publishing.